Almbury Manor is the ancestral home of the Bellamy family, who have a priceless heirloom: a golden statue known as the Bellamy Bird, a gift from an Indian Prince. Solid gold and encrusted with precious stones, the Bird is quite priceless. One Midsummer’s Eve in 1931 the statue is stolen, causing the downfall of the Bellamy family and the loss of Almbury Manor. Modern-day siblings Freddie and Jamie, descendants of the Bellamy family, go back in time to try to prevent the robbery and secure their family’s future with the help of some mischievous schoolboys, a group of sailing-mad children and a boat called Wren. 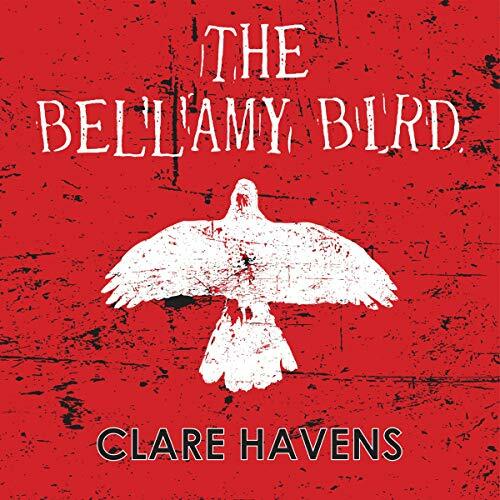 Fans of Enid Blyton, Arthur Ransome, Agatha Christie, Madeleine L’Engle and Katherine Rundell will enjoy The Bellamy Bird - from the author of The Bella Street Mysteries and The Constable Country Mysteries. Read by renowned British actor Virginia McKenna OBE, a British stage and screen actress, author and wildlife campaigner. She is best known for the films A Town Like Alice, Carve Her Name with Pride and Born Free, and for her long collaboration with husband Bill Travers. Clare grew up in England in a small village straight out of the pages of an Agatha Christie novel (with fewer murders). Clare’s Constable Country Mysteries novels were inspired by this village and the writings of DL Sayers, Margery Allingham and Agatha Christie. Writer’s Block is the first book in the series, followed by Still Waters and Tailor Made. Clare also writes middle grade fiction. Years spent living in Manhattan and a love of old movies starring William Powell and Humphrey Bogart were the inspiration for the Bella Street Mysteries, which have been described as Derek Zoolander meets Sam Spade or Nancy Drew meets Cruella de Vil. The first two Bella Street Mysteries, The Secret Formula and Doc Gutson’s Revenge, were runners-up in the Sydney Writer’s Word Festival. The third book in the series, The Fat Lady Sings, completes the trilogy. The revised stories are available in The Bella Street Mysteries Trilogy.